Apple ID is the account iOS device users use to access Apple services like the iBooks Store, iCloud, iTunes Store, App Store, iMessage, Apple Music, Apple News, or Podcasts. 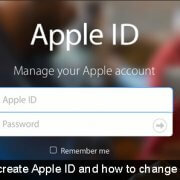 An Apple ID uniquely identifies a user in the iTunes Store, iCloud, FaceTime, App Store, Apple Online Store, and other Apple services. The ID lets you sync all of your data across Apple devices. It is the core of your identity on all Apple devices. As a user, you can sign in to all Apple services with a single Apple ID and password. 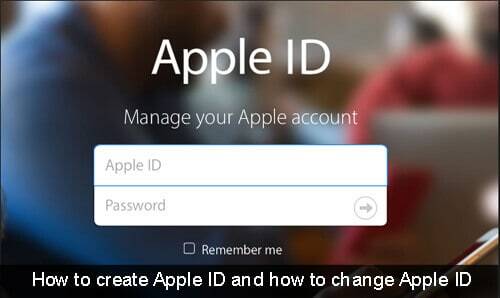 In this article, we show you how to create an Apple ID and how to change an ID. Kindly, stay with us and enjoy more of our amazing posts. Start your browser and go to the Apple ID creation website or simply click HERE to visit the official website. Input all your details including your name, email address, birth date, security questions, etc. Note that your email address will be your Apple ID. Enter your password and the captcha code, once you are done with that click the “continue” button. You will receive a verification code immediately after clicking on the continue button. Enter the six-digit verification code that you received on your email and click on the “Continue” key. Enter the preferred payment method you want to be billed each time you make a purchase at the iTunes Store e.g Visa, MasterCard, American Express, Discover, and PayPal. The next step is to enter the billing address of your card and the three-digit security code. Lastly, click on the “Create Apple ID” and you will have your ID set up and ready to use!!! NOTE: You can create an ID for free, instead of selecting a payment method just go through the below process. After creating the ID instead of clicking on the payment method, follow the following procedures. Make sure that you don’t enter any payment method, scroll down to “Payment and Shipping” and click on the Edit button. In payment method simply select the “None” key. Once that is done click on the “Save” key. Before doing that ensure you enter your full name and the entire address, including a phone number. The first step is to Start your device and click on the “Settings” on the Home Screen. The second step is to Scroll down until “iTunes & App Store” appear. The third step is to click on the existing ID. Lastly, select the “Sign out” key and then go to Create New Apple ID. With these steps, you have successfully signed out your old ID and can now create a new ID. NOTE: If you change your ID on your iPhone, you will still need the old one to update all the apps you bought. You have the access to delete the free ones and reinstall the free apps with the new Apple ID. Click HERE to read more of our interesting posts.